Mark Chitwood Photography: The Eagle Has Landed ! Here is what I got to shoot this morning. 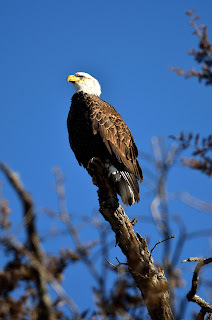 Found several bald eagles hanging out by the Platte River today. This bad boy was cooperative by landing 50 feet from the road. Sure amazing to see these majestic birds in NE.